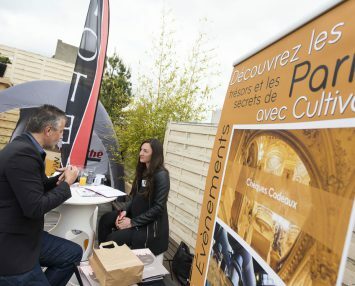 Home > Cultival Agency > Latest updates > Cultival begins a new trade fair season! Cultival begins a new trade fair season! For 17 years, Cultival has been working with its partners to increase the number of visits to historic monuments and cultural sites. Visitors to these events will be able to meet Anne, Chloé, Elodie, Mylène and Stéphanie who can help them explore the different guided and free visits, workshops, ticketing schemes and other events that Cultival can make possible. People who like new experiences are going to love all the new things on offer!